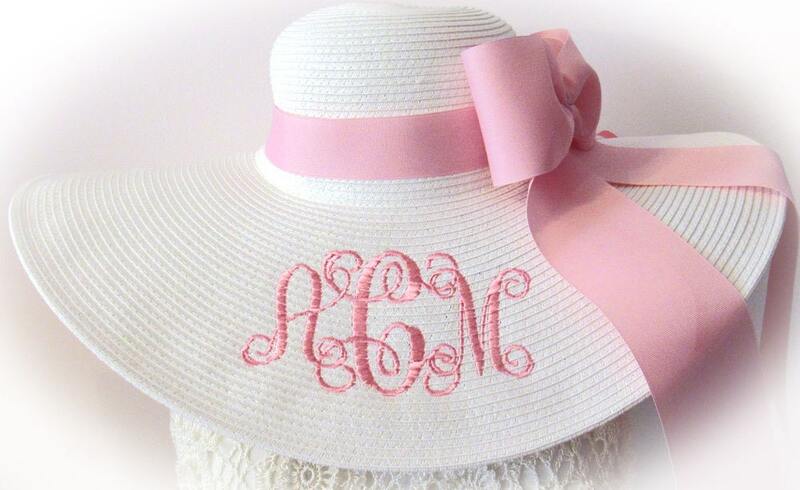 White Hat with Beautiful Old Vintage Rose Pink Monogram and Bow! Other colors, too, listed in my Etsy Shop! This sale includes the hat, 3 letter monogram as shown in the 4th picture, hat band and bow OR Add the large lush flower!. Others may be available. Please send convo for color choice! Hat Band and Bows are Removable. Great Seller and Communication! Thanks so much! !